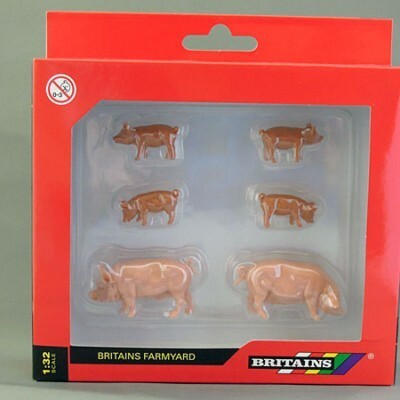 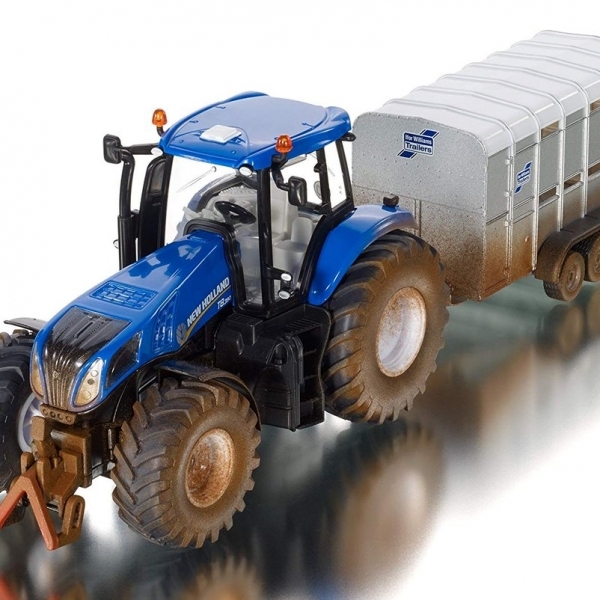 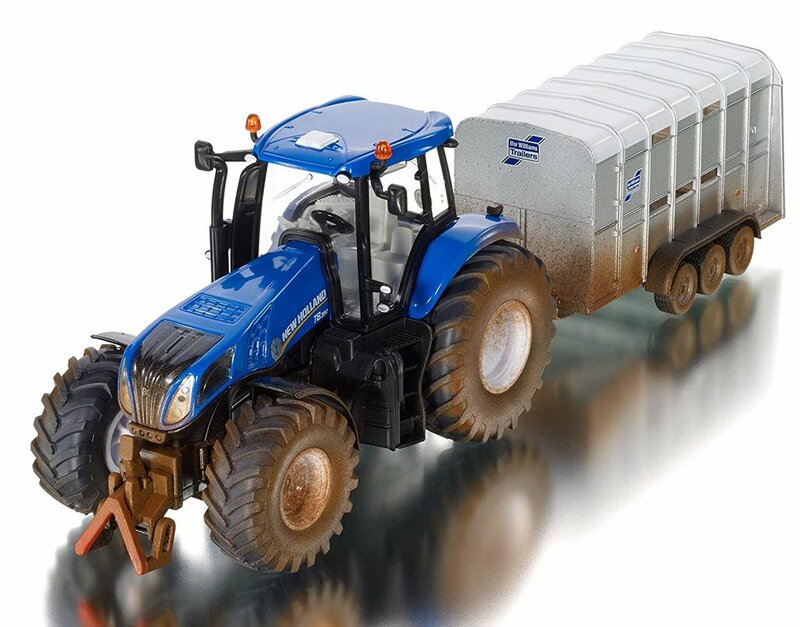 New Holland T8.390 tractor with Ifor Williams stock trailer and two cows. 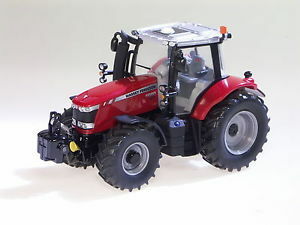 Tractor with removable cab, original decal detail, front grill opens to show engine detail, front hitch, rear 3-point hitch, front suspension, front wheel steering and rolling wheels with tread detail. 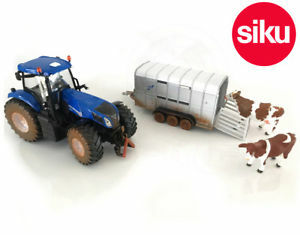 Livestock trailer with removable roof, drop down tailgate / loading ramp with side rails and towbar hitch.